Ukrainian revolution and the following war in Donbas caught my attention. I have been following the conflict since it’s begging in 2013 and gradually gained various pieces of information. Two things really caught my eye, insignias and military equipment. I transformed my knowledge into infographic materials that I released on social site Reddit.com. 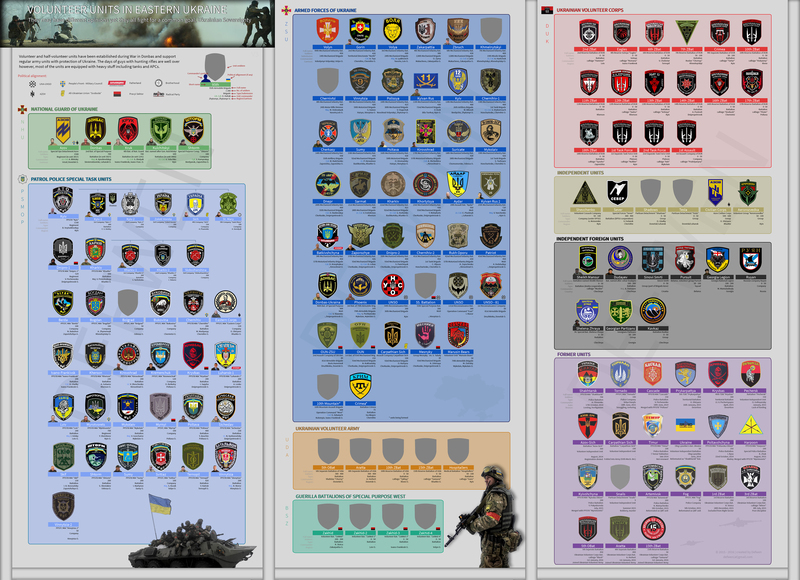 List of Ukrainian volunteer units was released April 2015. The list contains unit’s insignias categorically sorted by its submission. The second version was released a month later. The needed graphics overhaul came with the third version released in February 2016. Ukrainian conflict is not the only one I follow, I also keep an eye on Syrian civil war, Iraq war, Yemen crisis, and Karabakh issue.